Our webpage offers English to Greek translation for your various needs. If you need to translate casual conversational text urgently, our computer-aided English to Greek translator will help you out. Simply add the English text in the box provided and click on the ‘Translate’ button. You will be able to translate English to Greek instantly. What’s more, this service is available absolutely free of charge. However, if you need professional English to Greek translation services, we can help again. For a reasonable fee, our professional translators will come to your help to translate from English to Greek. We can assure you of translated documents that are free of error and quick delivery as well. Do feel free to contact us for a quote of all your projects of English to Greek translation. Greek is part of the Indo-European group of languages. It is an ancient language with written records found as far back as 34 centuries ago. The Greek alphabet is the root for many language alphabets such as Latin, Coptic, Gothic, Cyrillic, and Armenian. It came into existence around 750 BC. The strength of the language can be gauged from the fact that it has stood the passage of time with not much change, unlike most languages. 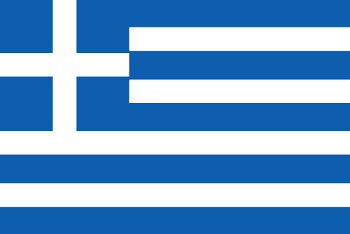 Greek is the official language of Greece and Cyprus. Many countries of Europe such as Armenia, Hungary, Italy, Romania, Albania, and Turkey have Greek as one of their official languages. There are approximately 13 million native speakers of the language worldwide. Human migration has led to the language spreading to United States, Canada, and Australia as well. Greek culture and language have left an indelible mark on the world. In subjects as diverse as astronomy, philosophy, logic, mathematics, and sciences, Greek has had an impact. Many scientific terms and phrases still in use have their origins in either Greek or Latin. Epics such as The Odyssey and The Iliad are still spoken of with reverence by students of literature and academics as are philosophers and scientists like Plato and Aristotle. Even the New Testament was written in Greek! The alphabet has 24 letters with each letter having its own uppercase and lowercase form. The letter sigma is unique as it has an extra lowercase form when it occurs at the end of a word. The language was the first to use vowels. It has three accent marks; the acute, grave, and circumflex. The language has breathing marks to denote the absence or presence of the letter b and the diaeresis. In recent times, however, the use of many of these marks is reduced considerably with only the accent mark and diaeresis in vigorous use. Greek has enriched the English language considerably. Many words such as monarch, physics, logic, phobia, hysteria, music, democracy, and autograph that are used commonly have their base in Greek. Many prefixes, word roots, and stems in English have been the contribution of the Greek language. Words starting with prefixes such as bio-, astro-, meta-, tele-, auto-, pro-, pseudo-, hyper-, or aero-, for instance, have their origin in Greek. Similarly, words ending with suffixes such as –logy, -gamous,-graph, -itis, or –oma too are derived from Greek. Greek has thus enriched the English language significantly.